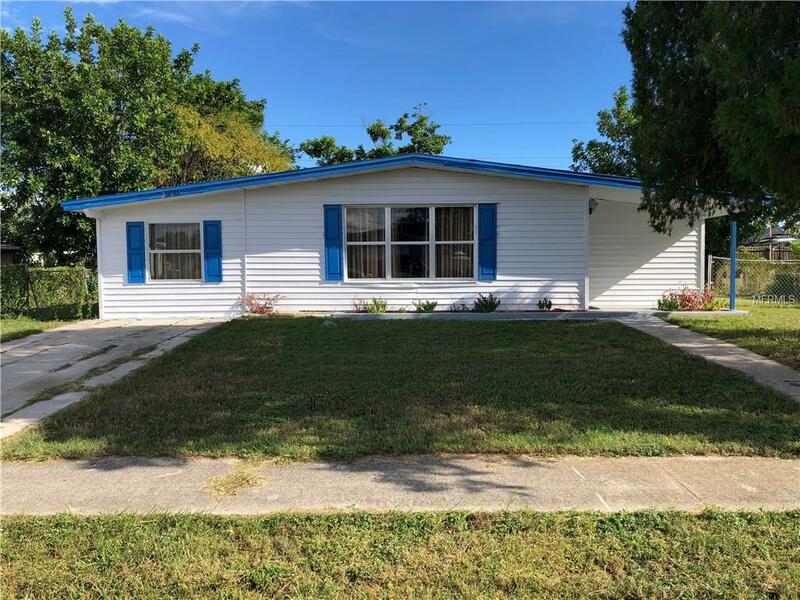 Welcoming 3 Bedroom, 1 Bathroom home in Port Charlotte. NOT in a flood zone. This light and bright home offers a Great Room with built in shelves and dining area, Family Room with French doors to the lanai and Kitchen with closet pantry. Tile flooring throughout the living areas and lovely frise carpet in the three bedrooms. The bathroom has a tub/shower combo and a new vanity. There is a large covered lanai and spacious yard that is fenced - perfect for your family and pets. Utilities are county water and sewer. Located minutes from shopping, dining, medical care, entertainment, waterfront parks, boat ramps, fishing piers and more. Easy drive to Gulf beaches. This is a Must See!